Home / Home Care / California / Beverly Hills / American Swiss In Home Care, Inc.
Costs at American Swiss In Home Care, Inc. Photos of American Swiss In Home Care, Inc.
Tour American Swiss In Home Care, Inc. The best way to get to know a community is by scheduling a tour. See the facilities, meet the staff and residents, and get a feel first hand what it's like to live at American Swiss In Home Care, Inc. Home Care. 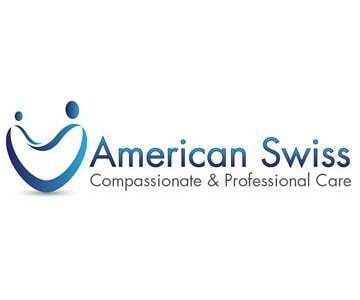 Description of American Swiss In Home Care, Inc.
American Swiss is a full service agency and all our caregivers/assistants are our employees (no contractors) covered by workers compensation, are bonded, insured, background checked and available for a few hours a day (2 hour minimum) up to 24 hour live-in care. We always offer a free personal home care assessment to better understand your loved ones care needs, personality, living situation and personal preferences. We will then devise a customized care plan and propose 2 to 3 caregivers by bringing them to your home for an interview and asking you to participate in the selection process. Map of American Swiss In Home Care, Inc.